5+ Best Priced Mini Pizzelle Makers of 2019 - Food Lovers! 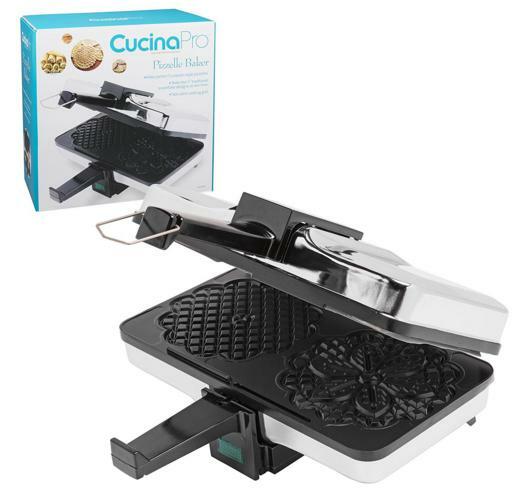 Home » Top 5 Best Priced Mini Pizzelle Makers of 2019 – Food Lovers! 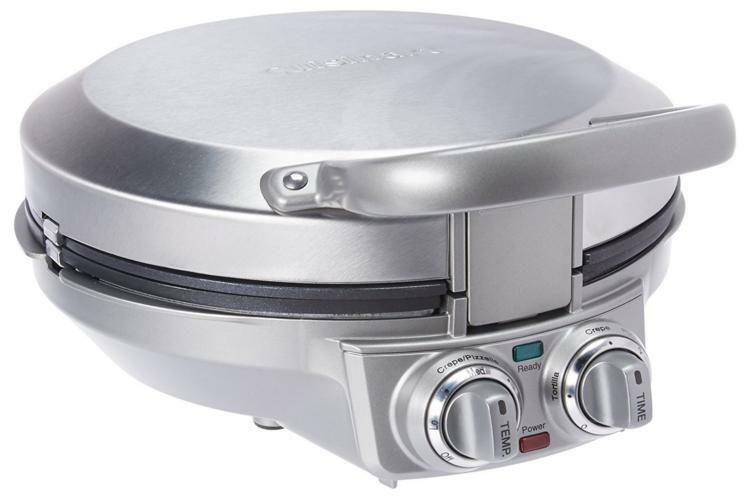 Top 5 Best Priced Mini Pizzelle Makers of 2019 – Food Lovers! I would not be able to shout it loud enough from the rooftops how much of a foodie I am! I love to cook and to try new dishes from various cultures – I’m quite sure I’m not the only one out there that feels the same! What I loved just as much as eating is finding new culinary tools to use in my own kitchen so imagine when my surprise when I discovered pizzelle makers! Now, to be honest, yes, I did have to look up what a pizzelle was exactly, but I knew it was a kind of food so hey – I’m open! For those who don’t know, pizzelles are part of Italian cuisine and they are a customary item in the Italian food group. Essentially, it’s a waffle cookie that is made from eggs, vegetable oil (or butter), flour and sugar. Depending on your own tastes, and cooking method, these cookies can be either soggy or crispy and traditionally are served as a dessert with other pastries and custards in Italian get togethers and weddings. Properly making pizzelle is an art and you must have the proper pizzelle maker to get the job done! So with that being said, let’s check out some of the hottest pizzelle makers out there for all budgets. The Cuisinart CPP-200 Pizzelle maker can be purchased on Amazon for around $70.00; this pizzelle maker does not just stop at pizzelles either! It also makes crepes, pizzelles, tortillas, blintzes, pancakes and more! Not to mention the non-stick and reversible crepe/pizzelle plates is dishwasher safe, which is a huge plus for me, considering I hate to wash dishes. The 8 1/3-inch diameter cooking surface doubles when press is opened flat and the Cuisinart CPP-200 also comes with a measuring spoon, tongs and mini ice cream cone roller included, with a locking lid and upright storage. The controls are amazingly easy to use and the design of the maker is very solid; it is also relatively versatile in the type of foods you can make with this little gem. The one major flaw with this is that it cooks kind of unevenly so there is a chance of your pizzelle being light and fluffy in the back and dark and crunchy in the front. It also doesn’t get that hot when the maker is fully open so if you are trying to make pancakes it may take a while. 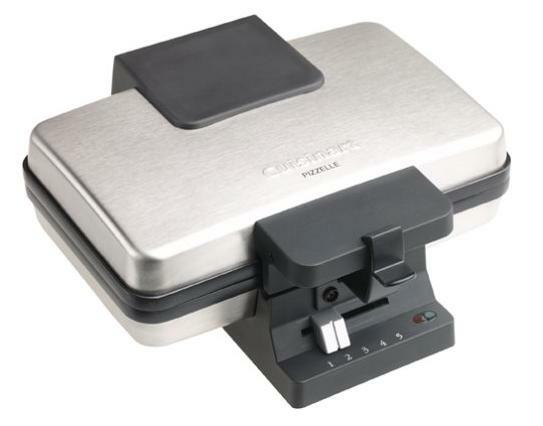 The Cuisinart WM-PZ2FR costs less than $40 on Amazon and is able to bake two, thin 4-inch pizzelle that are ready to eat or roll and fill. A cool aspect of this particular maker is that it leaves two decorative patterns imprinted on each pizzelle for a bit of festiveness. The WM-PZ2FR also includes a measuring spoon and rolling dowel for cannoli, if you want to make some of those. The locking lid that comes with the maker ensures evening browning throughout and the brushed stainless-steel maker stores upright for convenience. It makes a decent batch of pizzelles, especially for the price, which is a bonus if you are on a budget. It’s an ideal choice for a gift, especially since Father’s Day is coming up, if the man in your life loves to cook. Unfortunately, it’s only real good to pizzelles and that’s about it, not to mention that the pizzelles come out pretty small, which is only a minor issue if size doesn’t really matter to you. 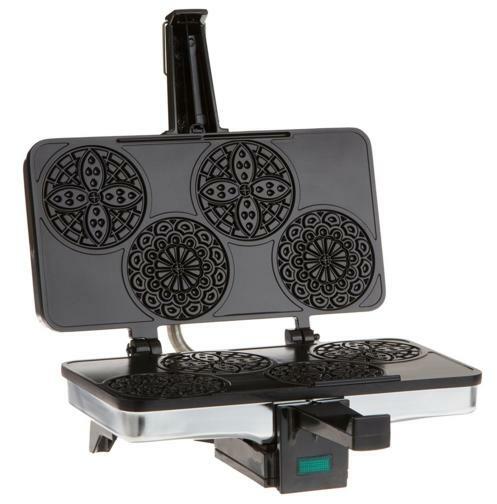 This is another reasonably priced pizzelle maker that you can get from Amazon, costing less than $40 as well; the Piccolo Pizzelle press makes 4 mini pizzelles at a time, which is a plus since a lot of pizzelle makers only do two at a time. The cookies measure at 3.25 inch, the perfect bite size for any occasion, big or small. There is also a steam guard to protect your hands as you bake (because there is no worst feeling than getting burned from steam. The extra-thick baking plates ensure even heat distribution throughout and there is non-stick grids for simple and easy clean up. The pizzeles that you are able to make come out in the perfect size and there is little to no sticking, which is fantastic! There is a bit of uneven coloration that may occur, and this could possibly be because of some faulty heating elements. The press that comes with this particular maker also does not press THAT evenly so the pizzelles come out a little thicker in some areas than others. Yet another affordable pizzelle on Amazon- $40! This Pizzelle maker makes two pizzelles at once, with the pizzelles measuring about 5 inches. This particular model also comes with a steam guard to protect those hands of yours, as well as extra-thick plates for even heat distribution during baking. The non-stick feature is also a plus so you don’t have to worry about the batter sticking to the plates. This maker actually comes with a recipe book which is a plus, especially if you are new to working with pizzelles. It’s almost a straight guarantee that your pizzelles will come out just the way you were hoping! The cons are limited with this particular maker, you do have to get your amounts and timing together when first using it, but that is to be expected. The Edgecraft 834 Pizzelle maker is a little over $40 on Amazon and is also perfect for making cannoli, as well as pizzelles, if you have a taste for those too. The Edgecraft makes two, 4-3/4-inch pizzelles in less than 30 seconds, which is pretty impressive, and the non-stick baking surface and instant temperature recovery (always ready to bake) is another added bonus. You can be reassured that there is consistent, even heat and locking latch for uniform thickness all throughout. You can really crank out a decent number of pizzelles and cannoli with this particular maker in a manner of 30 minutes or so. You mainly just have to be mindful of the amount of batter that you are putting on the press, it really only needs to be the size of a walnut, anything bigger and you’ll have to trim some or you’ll just have a mess on your hands. There is not an indicator to let you know when your desserts are done so you definitely run the risk of getting some burnt batches. This can be remedied by just keeping a close eye on them as you would do with any other kind of baking. Do you have to season the cooking surface prior to cooking? Does it notify you when the crepe or pizzelle is done? Do the makers come with any kind of recipes? Typically no, but you can find tons of simple recipes online, that’s what I do! 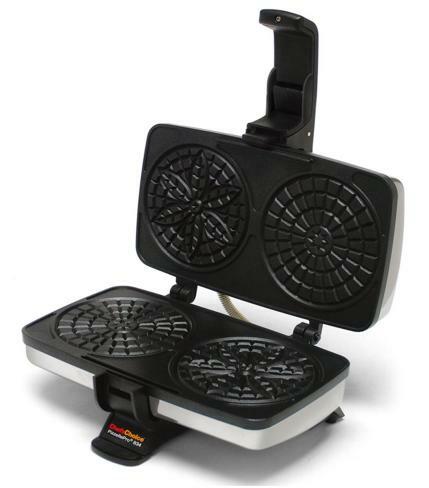 Overall, it looks like the top two pizzelle makers are #4 and #5 both are very reasonably priced, and even though they each have their own negatives, they are both worth the price.